These photos were taken close to home just outside the Village of Potsdam; from a few yards to a little more than a mile. I will be adding more as time passes. 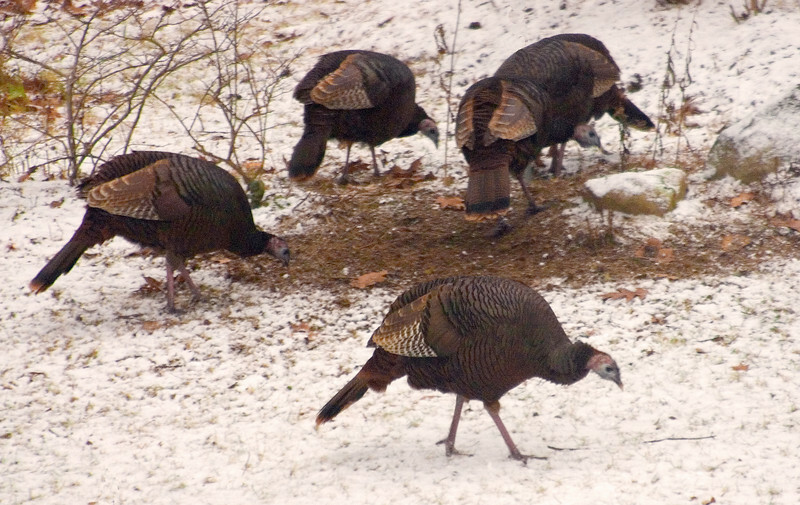 Turkeys beneath our bird feeder on Thanksgiving Day.